HDR, or high dynamic range, is the belle of the 2016 TV ball. Now that the majority of televisions on the market are 4K capable, every manufacturer is parading HDR around as the new must have feature. But what is it? When it comes to TVs, HDR refers to two things: the TV, and the content. A HDR display has a higher contrast ratio than a typical 4K TV display; essentially, the difference between how bright it can go and how dark it can go. HDR promises deeper blacks, and brighter whites. This also results in a wider colour space, which means images displayed by the TVs aren't just capable of going brighter, they're also more vivid. In short, a HDR TV is all about providing a more detailed, true to life image. While it's not quite the same, think about HDR photography on your smartphone. If you're shooting a photo of a people standing in front of a bright sky without HDR switched on, the sky will appear blown out, or their faces will be too dark. With HDR switched on, you'll get a blue sky, while still being able to see the detail on your friends' faces. HDR video works on a similar principle. In order to get the most out of a HDR TV, you need HDR content. That is, movies or TV shows that have been optimised (or shot in a way) that they can take advantage of a HDR display. Right now, this content is still scarce. You've got Marco Polo available in 4K HDR via Netflix, and you've got a small range of 4K UHD Blu-Ray titles. The good news is, we should see a lot more of it before the end of the year. Netflix plans to have over 600 hours of HDR content available on the service by the year's end, and the 4K UHD Blu-Ray range should grow to around 100 titles. While we'll soon have access to more HDR content, it will still be a miniscule amount when compared to what else is available via streaming services and standard Blu-Ray. It also won't be cheap. You'll need Netflix's priciest tier – the AUD$14.99 per month plan – for access to HDR, and 4K UHD Blu-Ray new releases look like they'll typically be priced around AUD$50. Have a 4K (3,840 x 2,160 pixel) screen. Have a 10-bit panel (allowing to the TV to display over a billion colours), and the ability to meet at least 90% of the DCI-P3 colour gamut. Meet prescribed contrast ratios. For an LCD TV, this is a minimum brightness of 1,000 nits, with a maximum black level of 0.05 nits (taking into account dimming). For OLED, a minimum brightness of 540 nits, with a maximum black level of 0.0005 nits. These result in contrast ratios of 20,000:1 and 1,080,000:1, respectively. TVs that meet these specification are awarded the UHD Alliance Premium Certification. This can also be found on 4K UHD Blu-Ray movies, and on 4K UHD Blu-Ray players. The idea is, if you're only using UHD Alliance Premium certified equipment, you'll get a good HDR experience. But that doesn't mean all HDR experiences will be the same, even if they the meet the certification. Right off the bat, you probably noticed that OLED UHD Alliance Premium certified TVs have a much larger contrast ratio than LCD UHD Alliance Premium certified TVs. They won’t go as bright, but you'll get "true" blacks, and a more detailed image. On the other hand, a HDR LCD TV will be easier to watch in bright environments. However, since HDR LCD TVs take into account local dimming when it comes to contrast ratio, a compliant TV might be able to go dark enough to meet the standard, but it won't necessarily be uniformly dark. To make matters more confusing, there's plenty of TVs that claim to be HDR compatible that don't feature the UHD Alliance Premium Certification. This doesn't necessarily mean they don't meet the minimum specification, but it can make the purchasing decision harder. Take Panasonic's 2016 range. Three of its product families are billed as being HDR enabled: the DX900, the DX700, and the DX740. The DX900's panel is the only that can reach 1,000 nits in brightness (and as such, the only one that meets the UHD Alliance Premium Certification), while the DX700 and DX740 only make it up to 550 nits. As such, they'll provide a much weaker HDR experience than the DX900. On the other hand, Sony's 2016 TVs don't prescribe to the UHD Alliance certification (even though Sony is part of the Alliance), and instead use their own "4K HDR" badge. This is complicated by the fact that some of Sony's 2016's completely meet the UHD Alliance standard (such as the X940D), while others partially meet it. Certain 2015 TVs may also be HDR compliant, but it's a question of both software and hardware. LG's 2015 Curved 4K OLED TVs can playback HDR video through online sources such as Netflix, but since they don't have a HDMI 2.0(a) port, they can't display expanded colour information from 4K UHD Blu-Ray. Whenever we see new television tech, it feels like a standard war is inevitable. VHS versus Betamax. Blu-Ray versus HD-DVD. HDR10 versus Dolby Vision. HDR10 and Dolby Vision are the two main HDR10 content standards. While both standards tell HDR compatible displays how to display content, HDR10 has one set piece of instructions per movie or episode. Dolby Vision is more dynamic, and is capable of providing instructions on a frame-by-frame basis. 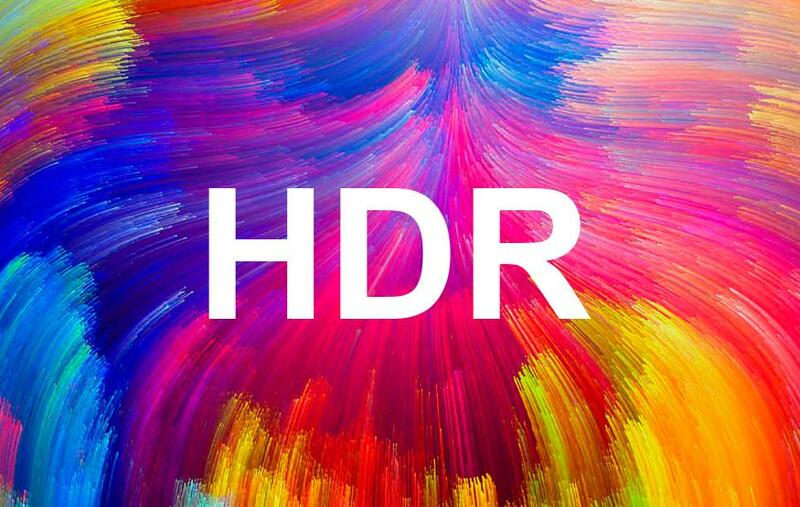 In terms of TV manufacturers, Samsung, Sony, and Hisense all support the HDR10 standard. Locally, LG is the only manufacturer supporting both HDR10 and Dolby Vision. All 4K Blu-Ray discs currently use HDR10, which is required as a baseline. As such, if a studio popped out a movie with support for Dolby Vision on 4K UHD Blu-Ray, it would still playback on a 4K UHD Blu-Ray player without Dolby Vision support. When it comes to streaming, Netflix (and Amazon, internationally) plan to support both HDR10 and Dolby Vision. Together with content partners, Dolby has already mastered over 100 movies in Dolby Vision, for distribution via streaming services. HDR10 and Dolby Vision aren't necessarily at odds with one another – one provides a baseline HDR10 experience, while the later goes one step further – but their presence could still be an important factor when it comes to deciding which TV to purchase. HDR10 is enough to get going, but given Dolby's clout, Dolby Vision is unlikely to go away any time soon. And given its hardware requirements, it can't be patched into a TV via a software update. Personally, I think HDR is a big step forward for TVs, and much more important than 4K (let's not even talk about 3D). Size and resolution are nice, but for me, picture quality is much more important. There's no point having a big TV if what's on it looks awful. That being said, I don't think there's a need to rush out and buy a HDR-enabled TV just yet. Local content is so scarce right now (about eight movies and one TV show) that you're not going to see an immediate benefit. It's good to be future-proof, but there’s such a thing as being too future-proof. If you're due to buy a new TV this year (and are looking at spending AUD$3,000 or more), there's a good chance your TV will have HDR support anyway. If HDR is important to you, look for the UHD Alliance Premium Certification. It's not perfect, but it's a reasonable indicator of a TV's quality. As a reviewer myself, I'd recommend reading a few reviews of the TV you're after. If you're looking at LCD, the features you definitely want to know about are how effective local dimming is, and backlight consistency. If you're looking at LG's OLED family, be mindful of where you think you'll get your HDR content from. As aforementioned, last year's curved OLEDs (they’re still on sale) won't playback HDR content from 4K Blu-Ray (they'll still play 4K Blu-Ray, just without the additional colour information). If you want to be 100% future-proof, the upcoming LG Signature OLED family has support for HDR10, Dolby Vision, and HDR content from 4K Blu-Ray discs. But with a starting price of AUD$7,499 for a 55-inch model, the privilege will cost you.